UnLock Our Jobs (UOJ), a coalition of business and industry supporting environmentally friendly domestic maritime commerce organizations, sent a letter to key members of Congress urging funding for the Great Lakes Restoration Initiative (GLRI) to further support efforts undertaken in Illinois to slow, stop and reverse the migration of Asian carp through cost-effective measures. In the letter, UOJ coalition members reviewed the record of successes the GLRI has had in working with Illinois to develop a range of strategies to control Asian carp, noting that these efforts have resulted in the removal of 5 million pounds of Asian carp from the Illinois River in the last five years — a 68 percent population decrease. The letter also highlighted the importance of GLRI funding for non-structural options to address Asian carp migration, to achieve both effective environmental protection and preservation of vital navigation avenues for maritime commerce. UnLock Our Jobs (UOJ) is a coalition of business and industry organizations dedicated to supporting the U.S. economy through the advancement of environmentally friendly domestic maritime commerce. UOJ urges you to support funding for the Great Lakes Restoration Initiative (GLRI), which will continue to fund efforts undertaken by the state of Illinois to provide cost-effective activities to slow, stop and reverse the migration of Asian carp. GLRI funding is administered by the Asian Carp Regional Coordinating Committee (ACRCC), which has worked with the state of Illinois in developing near- and long-term strategies to control Asian carp. For example, with GLRI’s assistance, the state of Illinois has removed 5 million pounds of Asian carp from the Illinois River in the last five years, reducing the population by 68 percent, and ensuring that the leading edge of the Asian carp population has not moved up river for 25 years. Illinois has also increased monitoring activities that have significantly advanced our scientific knowledge of the fish. This partnership of state and federal agencies, in collaboration with the private sector, has provided significant positive impacts for the nation. 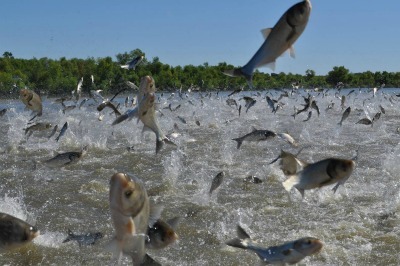 Preventing the further movement of Asian carp does not hinge on any single lock, port or waterway, but rather on a comprehensive, system-wide approach. GLRI funding for non-structural options such as netting, fishing and removal of the fish, scientific study, promotion of businesses that harvest Asian carp and other non-structural actions must be incentivized to protect both our environment and the vital maritime industry and its customers that fuel the national and global economy. UOJ members continue to focus on protecting the environment with cost-effective, targeted actions that have a measurable rate of success and, with continued funding, will continue to improve efforts to eradicate Asian carp. ACRCC is a central and nationwide component in responding to the national issue of Asian carp, while contracting with states or businesses that possess the expertise to net, fish, remove, and harvest all four Asian carp species. Continued robust work by the State of Illinois and states further downstream, along with continued scientific study and commercial harvesting, will ensure that Asian carp does not move further upstream. 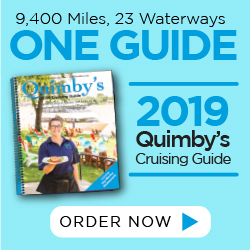 Now is the time to build on the ongoing efforts to improve the health of the waterways used for maritime commerce. Appropriate and targeted funding for GLRI will serve the nation’s economy and environment.